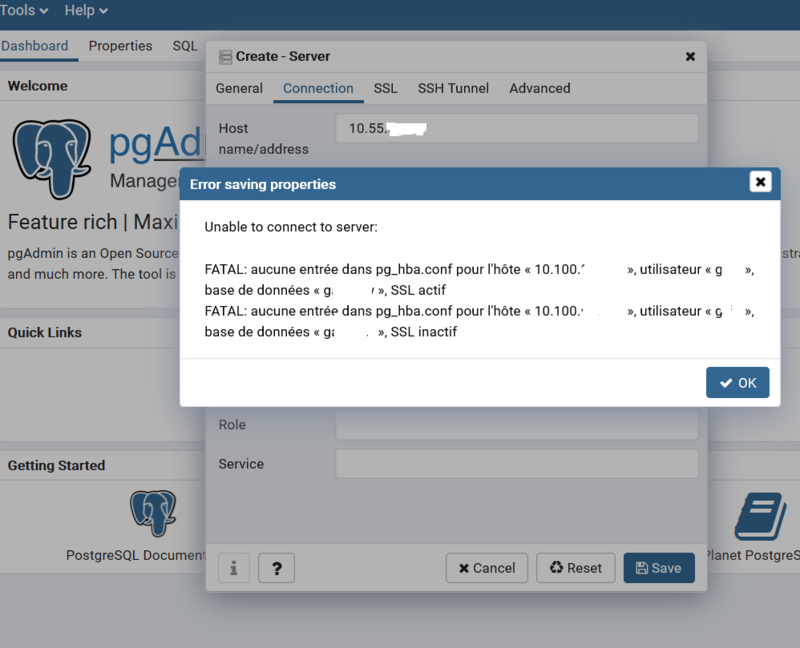 Actually , I installed (pgAdmin ) to access and manage a psql data-base locateded on a remote sevrer , so I'm connected on a VPN network via my computer (FortiClient ) , I'm blocked cause i can not access to this data base . 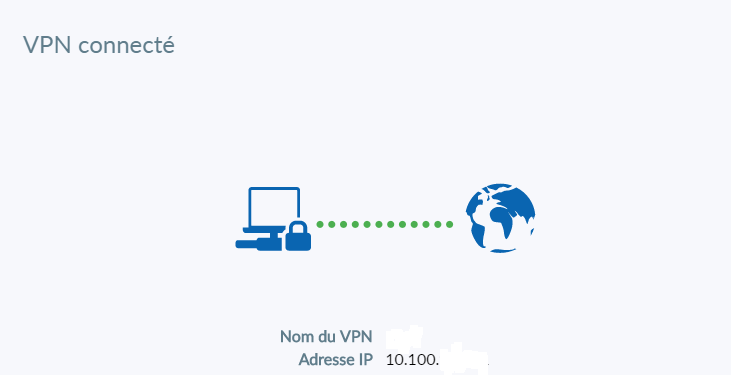 I need to know What i have to configure exactely , because i have 2 ip adresses that i need to connect via my local pgAdmin : the first one is a getway of the VPN connexion , the second is an ip adress of the psql server. Browse other questions tagged vpn pgadmin-4 or ask your own question. Windows Server 2008 SSTP VPN in a Non-Domain Environment?